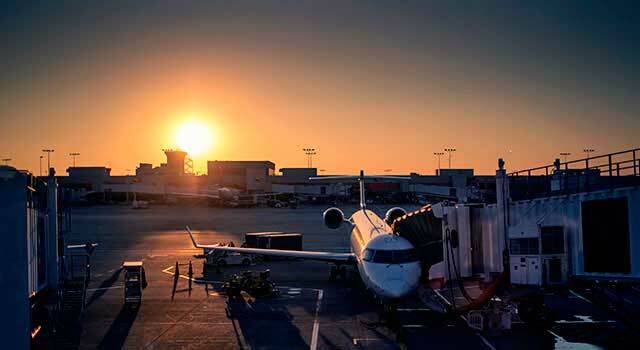 Use this website to quickly find the most important information about Detroit Metro Airport: Flights (Departures, Arrivals), Parking, Car Rentals, Hotels near the airport and other information about Detroit Metro Airport. 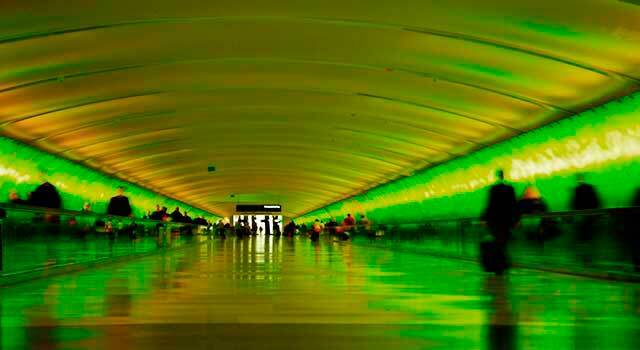 Plan your travel to Detroit Airport with the information provided in this site. Detroit Metro Airport (IATA: DTW, ICAO: KDTW, FAA LID: DTW), officially known as Detroit Metropolitan Wayne County Airport, also known as Metro Airport, is the busiest airport in Michigan State, United States. 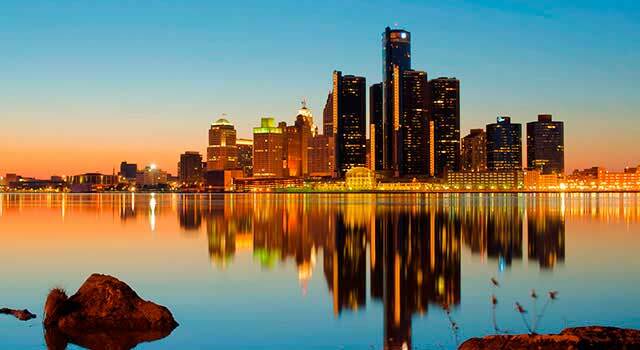 The airport is located 18 miles southwest from downtown Detroit, in Romulus, Michigan. (IATA: DTW) is the busiest airport in Michigan. The airport is located 18 miles southwest of Detroit downtown. Metro Airport served 34 Million passengers in 2017. There are two terminals in Detroit Metro Airport. McNamara Terminal is used exclusively by Delta, Virgin and Air France. For Delta Airlines, Detroit Airport is the primary gateway to fly to Asia from the East of the U.S.A as well as it is the third-busiest gateway to Europe. It counts with 30 international routes and serves fights to over 140 destinations. Nowadays, DTW Airport is the 18th busiest airport in the US The majority of busiest destinations from Detroit Airport are domestic (with the exception of Amsterdam). The top 5 busiest routes are the following ones: Atlanta, Orlando, Amsterdam, N.Y. and Chicago. Detroit Airport is one of the major Midwestern hubs for SkyTeam members. In 2017 Detroit Airport handled 34,701,497 million passengers, and although it is not the best mark of the airport in terms of passenger traffic of all history, it is the best figure from the last 6 years. The airport is one of the largest airport hubs in United States and it is an important gateway for tourism in the region. - Concourse A: It is 1 mile long and has an Express Tram that runs all the concourses in less than 5 minutes. Counts with more than 60 gates. - Concourse B and C: Hosts more than 40 gates. Hosts all non-SkyTeam airlines. Has one Concourse: D. A shuttle bus service links both terminals. 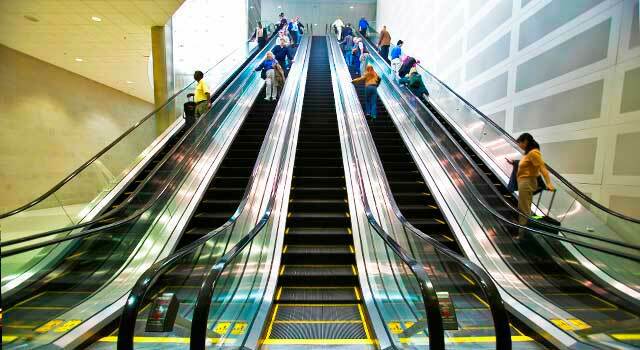 To get more information about Detroit Airport Terminals, visit the Terminals page. At the airport there are shops, restaurants and cafés as well as other services as WiFi, Currency Exchange, Car Rental Agencies, Airport assistance to all passengers that request the service (Wheelchair Service, Unaccompanied Minors or Passengers with Special Needs), a Pet Relief Area, among others. There are two separated terminal buildings in Detroit Metro Airport separated more than 1 km. And also McNamara Terminal is quite large. - ExpressTram: A people mover in Concourse A (is 1 mile long). - AirRide: service only in McNamara Terminal and runs from DTW Airport to various stations at Ann Arbor Area. - Shuttle: Shuttles run to hotels that are located in the vicinities. 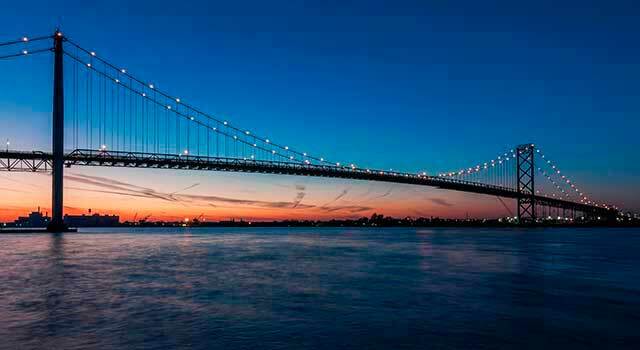 - Car Rental: Various car rental agencies offer car rental service at DTW Airport. Check the options here! To get more information about transportation, visit the transportation online page. - It has been ranked as the 18th busiest airport in U.S.
For items lost in the plane, please, get in touch with your airline.